D E S I G N L O V E F E S T » PIZZA PARTY! 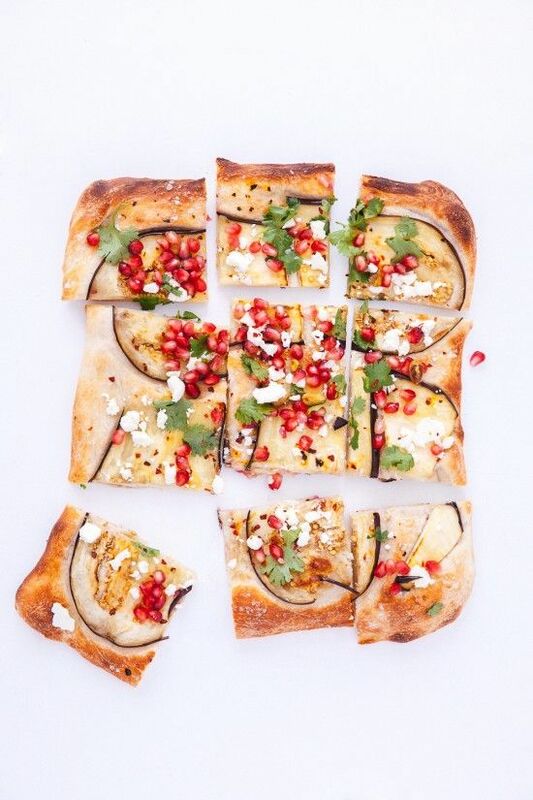 we recently happened across a martha stewart recipe that called for adding pomegranate seeds to your pizza. i’m a big fan of the seeds on their own but adding them to a pizza sounded strange yet intriguing, we decided to give it a try and it was so delicious! it also has eggplant on it which i normally don’t like but it cooked into the crust and added a really nice flavor and texture. you gotta try it! we used pre-made trader joe’s crust which was excellent and so easy. you can read the full recipe, here. we also didn’t have a pizza stone so we used this trick and it totally worked – crispy crust! 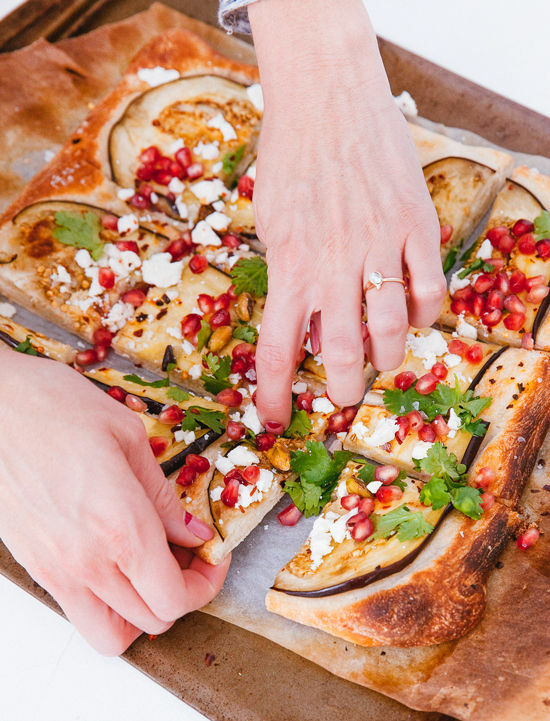 it made me want to throw a pizza party for friends where you set out a bunch of dough and toppings and let people create their own…maybe for the holidays! I love adding fruit to savoury food! I made some homemade slaw last week (just shredded cabbage, coriander/cilantro, grated carrots, red onion and radishes) and sprinkled pomegranate seeds and cashew nuts for a bit of extra bite. I also made these awesome peach, prosciuttto and mozzarella bites canapes for my friend’s engagement party (recipe here: http://www.catherinesprunt.com/2014/07/a-surprise-engagement-party.html). Such a great combination! A family friend of ours built a stone oven in their backyard a couple years back and then hosted a pizza party where everyone was able to create their own pizza with toppings and then they cooked it for you in the stone oven. It was AWESOME! If I ever have the money to do that, I want to! YUM this looks amazing! Such an interesting combo, so I’m glad to know that it really works well together! Yes x a million! 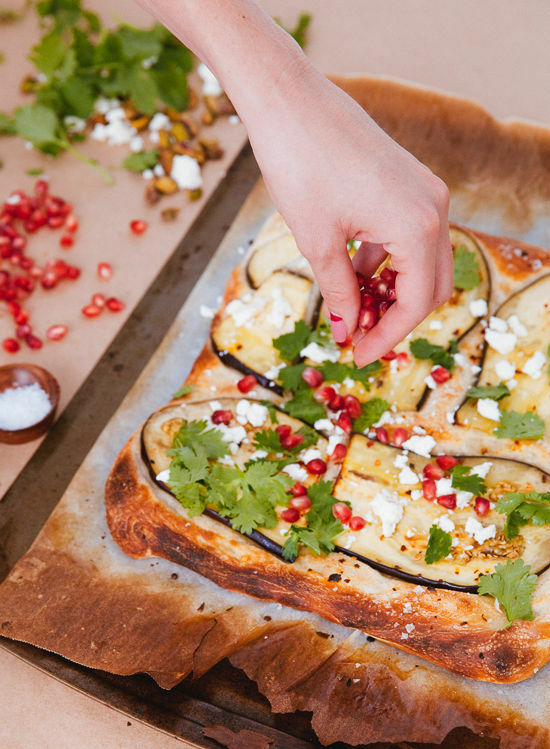 Pizza parties are the best, but getting to personalize your pizza (i.e. ensuring no one’s nasty mushrooms end up on your slices) is even better. 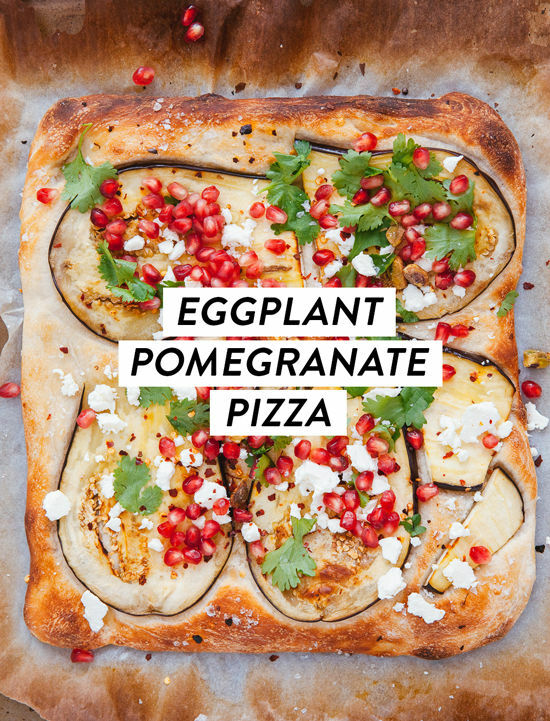 I’m drooling over this eggplant/pomegranate combo! Oh man…this flavour is AWESOME! Love this! 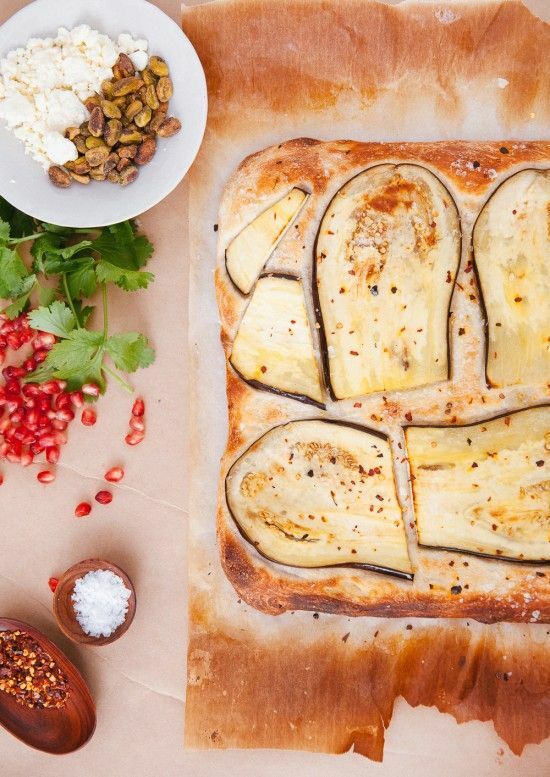 beautiful photos but after my grandfather tricked me in to eating chocolate eggplant cake (you read that right and it’s as nasty as it sounds), i just can’t do eggplant. pomegranates though, i can get behind! yum! 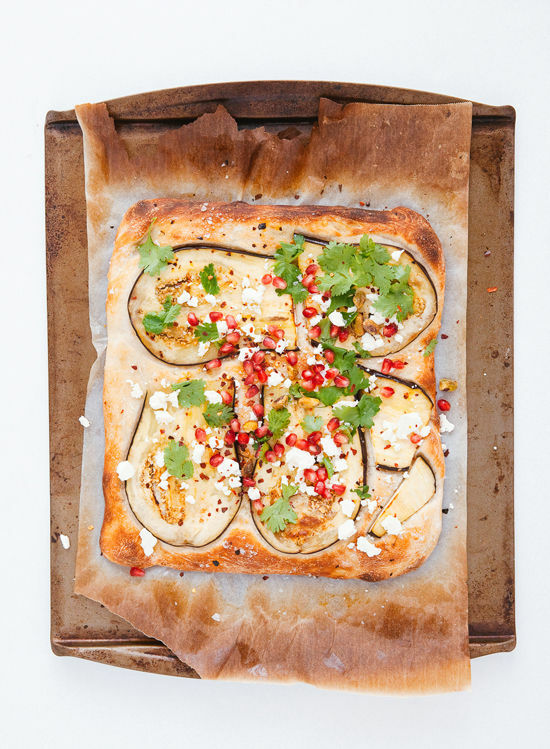 Pomegranate seeds on pizza does sound strange. But now I’m totally intrigued and they certainly look gorgeous! 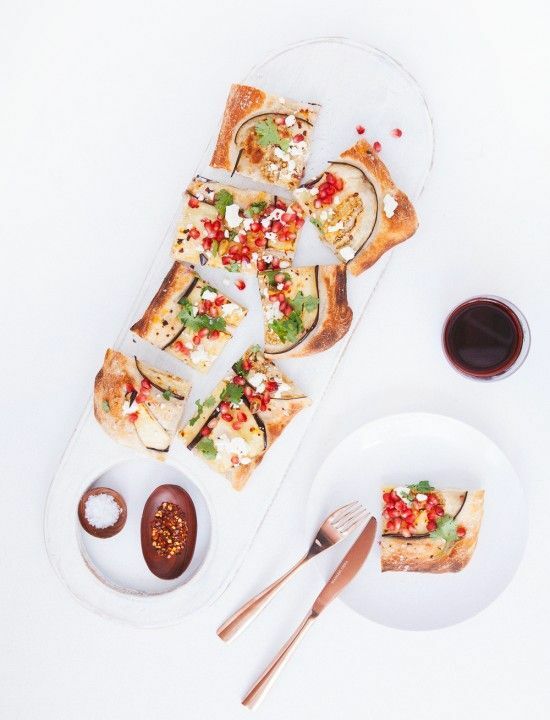 Great holiday appetizer right here! Pizza is my all tight favorite food. I’ve never eaten pizza like this before. This is pizza taken to a whole new level. It also looks like art. It looks both beautiful and tasty! Leave it to Martha! This sounds incredible! Thanks for sharing! This is such a creative pizza recipe!! Delicious! I’ve been on a major pizza kick lately (hoping it doesn’t catch up with me).